It’s 2018. We’ve got a lot going on. Lots of racing, lots of new parts, and a new product line that you are sure to enjoy; ROWE motor oils. 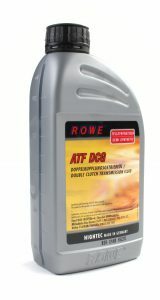 Pronounced Roh-Veh, ROWE is a German manufacturer of engine oil, engine coolant, and just about any other oil, grease, or fluid that you would find in automotive or industrial applications. Their main product is hiqh-quality synthetic engine and transmission oil. Made in Germany to withstand the rigors of the daily commute as well as the race track, ROWE is proud to have completed the elite ISO/TS 16949, DIN EN ISO 9001, and ISO 14001 certification processes. Their new factory, located about an hour south of Frankfurt, features 32 mixing tanks and 6 brand new high tech filling lines. Yes ROWE is not only a formulator of oil but they also manufacturer their own formulations on site in their own factory. For many years ROWE specialized only in private label manufacturing. Even today that is the largest part of their business so it’s highly likely that you’ve already used one of their products in someone else’s bottle. Now ROWE is putting their own name behind their top quality products. Being one of the largest and most modern oil facilities in Europe, ROWE is about as German as you can get, and we are happy to be an official ROWE partner for our 2018 IMSA Continental Sports Car Challenge effort! We are proud to make ROWE Motor Oils our official OE replacement option for our supported European cars. More than just engine oil, ROWE supplies transmission fluid and gear oil, coolant, ATF, power steering, brake fluid, and more. If you’re hitting the Nurburgring anytime soon, you’d get along with ROWE. As a company based on obsessive quality control, racing comes naturally. 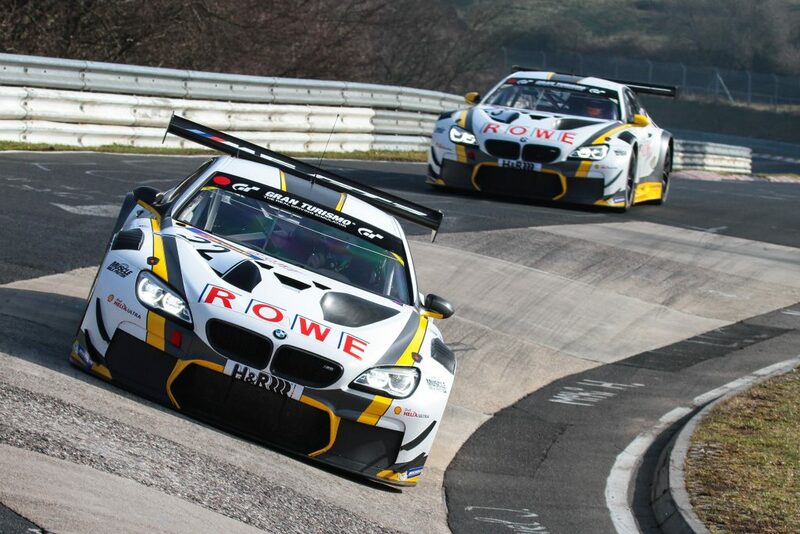 That’s why you’ll find multiple racing teams running ROWE Motor Oils to great success, including their factory effort which campaigns A pair of beautiful BMW M6 GT3’s. Of course, you won’t find anything else in our oil pan either. Carrying everything from OE spec synthetic oil designed to stretch changes in your daily commuter, to extreme performance single weight oil fit for endurance GT racing, we are so confident in ROWE Motor Oils that we are launching a program to help you get to know them a little better. We don’t want to just tell you that ROWE is great, we want to prove it. Of course, the only way to do that is to get the ROWE juices flowing under your hood. The 2018 ROWE Stress Test will involve a group of you guys or gals, our customers, a few oil test kits, and a lot of miles. We need customers that have cars from all walks of life to participate in the program. High mileage, low mileage, performance enthusiasts, commuters, direct injection, turbos, we want it all to give the best spread. We’ll be sending out free oil changes, some test kits, and exclusive eEuroparts/ROWE/Audi Sport swag to our participants in the 2018 ROWE stress test, so keep an eye out, signup will be opening shortly! Mercedes Benz Brake and hydraulic fluids ? So you want to test these oils with high-mileage cars? Would a 1989 Volvo with 478,000 miles fit the bill? Great, how do I stay in the loop on signing up for this test? Keep an eye out for the launch email, as well as on the blog. We plan to launch on the 23rd of February. Yes, I would definitely be interested in the stress test . I have a 2004 Volvo XC70 with 204,000 miles. I would definitely like to join in. Hope I fit in.